Nearly 70 percent of Cuban-Americans in Miami-Dade County support the U.S. decision to open diplomatic relations with Cuba and a strong majority (63 percent) oppose the U.S. embargo of the island nation. The results of this year’s FIU Cuba Poll – the longest running research project measuring Cuban-American public opinion – reveal a major shift in Cuban-American attitudes toward U.S.-Cuba relations. Support for the embargo has steadily declined among Cuban-Americans in the Miami area – from an average of 84 percent in the 1990s to just 37 percent this year. The shift reflects the changing demographics of the Cuban-American community in Miami-Dade, with younger and second-generation Cuban-Americans and more recent arrivals to the U.S. more likely to express a pro-engagement attitude than older exiles and those arriving before 1980. “Cubans who left the island in the last two decades and those born in the United States are more supportive of increasing U.S.-Cuba engagement than those who left immediately after the revolution,’’ said Jorge Duany, director of the Cuban Research Institute, which cosponsored the polling initiative, along with the Steven J. Green School of International and Public Affairs and the Kimberly Green Latin American and Caribbean Center. The 2016 Cuba Poll was conducted by telephone between July 11 and Aug. 12, 2016 using a random sample of 1,000 Cuban-American residents of Miami-Dade County, age 18 and over, with a margin of error of plus or minus 3 percent. Interviews were conducted in Spanish or English, depending on the respondents’ preference. FIU funds were used to conduct the poll. In addition to supporting increased diplomatic ties with Cuba, a large majority of Cuban-Americans favor lifting travel restrictions to Cuba, while more than half support increased economic activity between the two nations, including liberalization of private investment in Cuba. When asked about the 2016 U.S. presidential election, more than 35 percent said they would vote for Donald Trump, while 31 percent expressed support for Hilary Clinton. More than a quarter of respondents (28 percent) said they would not vote for either candidate or were undecided. Despite the substantial support for Trump, the Republican Party’s hold on Cuban-American voters in Miami-Dade has steadily declined since the poll began – from 70 percent in the early 1990s to just over half of respondents this year. Twenty-two percent indicated they are registered Democrats and the number of registered independents stands at 25 percent. The poll also asked about the Cuban Adjustment Act. 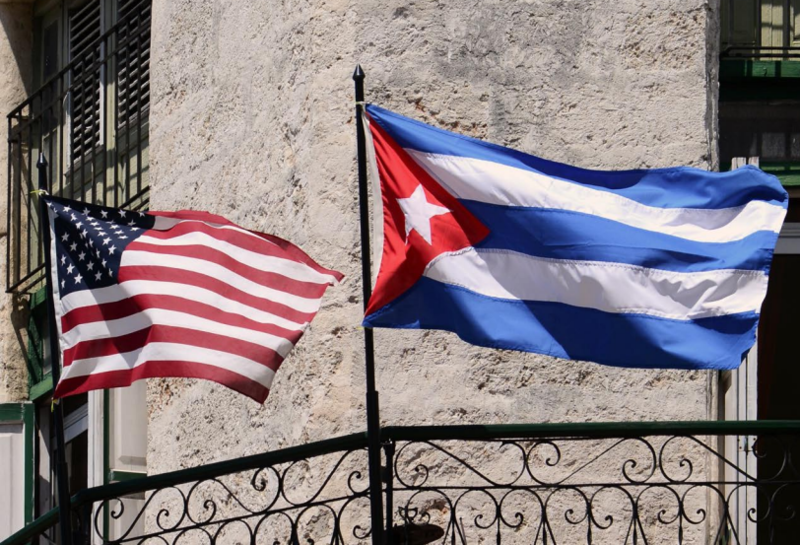 This law stipulates that Cuban citizens and their accompanying spouses and children are immediately eligible to receive federal public assistance and can become permanent residents of the U.S. one year after arriving in the country. Sixty-five percent of respondents support changes in the Cuban Adjustment Act, requiring Cuban entrants to provide proof of political persecution before becoming eligible for government assistance. For poll results, please click here. It’s about time we realize that the Cuban embargo hurts the Cuban people and has done nothing to bring about change. A new approach is needed.